Loveland Ski Area announced it will open for the 2015-16 ski season on Thursday. Lift 1 will run from 9 a.m. until 4 p.m. on Thursday and will provide skiers and riders with access to one top-to-bottom run covered from tree-to-tree with an 18 inch base. The trails Catwalk, Mambo and Home Run make up this opening day run, which is over a mile long and nearly 1,000 vertical feet. Loveland Ski Area opened on Nov. 1 last season. Loveland will be open seven days a week until closing day in early May. Lift operating hours are 9 a.m. until 4 p.m. on weekdays and 8:30 a.m. until 4 p.m. on weekends and designated holidays. Early season lift tickets are $53 for adults and $25 for children ages 6-14. Go to skiloveland.com for more information. Arapahoe Basin, which opened Oct. 17 last season, still had not set an opening day as of Tuesday morning, but A-Basin COO Alan Henceroth said his ski area is very close, especially with the stormy forecast for this week. He also offered kudos to Loveland for announcing its opening on Thursday. 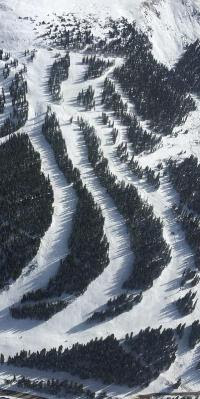 Copper Mountain and Keystone are schedule to open Nov. 6. Vail is scheduled to open Friday, Nov. 20, and Beaver Creek will open on Wednesday, Nov. 25. According to meteorologist Joel Gratz of Opensnow.com, another small storm will follow Monday’s blast of snow on Tuesday, and then yet another southern storm will head into Colorado for Halloween weekend.